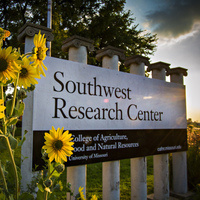 The Southwest Research Center will have a groundbreaking ceremony for its new educational building at 3:30 p.m. on Thursday, Sept. 13 at the Center. A reception will follow. The Southwest Research Center is located at 14548 Highway H, Mt. Vernon, MO 65712.